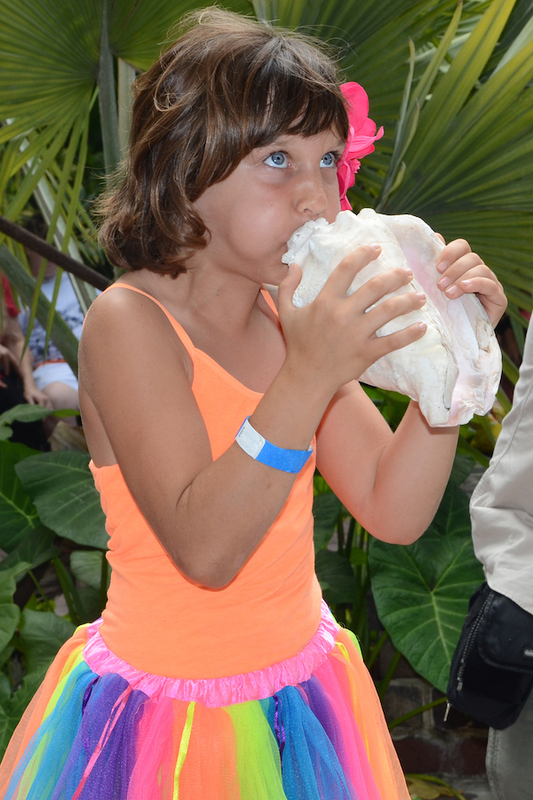 Blowing into fluted pink-lined shell of the hardy sea mollusk called conch (pronounced “konk”) is a Florida Keys tradition. Conch horns were employed as signaling devices by early Native Americans, shipwreck salvagers and 19th-century seafarers among others. Scheduled at noon in the lush garden of the Oldest House Museum, 322 Duval St., the offbeat contest celebrates Key West’s historic conch connection. Contestants take turns puckering up and raising a shell to their lips, attempting to make music (or at least respectable sounds) to impress to impress the judging panel and a standing-room-only audience. Nicknamed the “Conch Honk,” the challenge is presented each spring by the Old Island Restoration Foundation, a nonprofit organization dedicated to preserving the architectural and cultural heritage of Key West. As well as a quirky musical instrument, the conch shell is an enduring symbol of the Florida Keys, whose native-born citizens call themselves “conchs.” Conch chowder and fritters are popular local dishes, and in 1982 the island chain staged a symbolic secession from the U.S. and proclaimed itself the independent Conch Republic. Entrants in the “Conch Honk” typically include men, women, young children and groups. All are judged on the quality, duration, loudness and novelty of the sounds they produce. The 2019 contest is free to enter and watch. Registration takes place before the event in the garden at the Oldest House.